If you have several mink pelts or mink old hat, which has long been out of fashion, some of this stuff is easy to make a modern and very stylish mink hat. 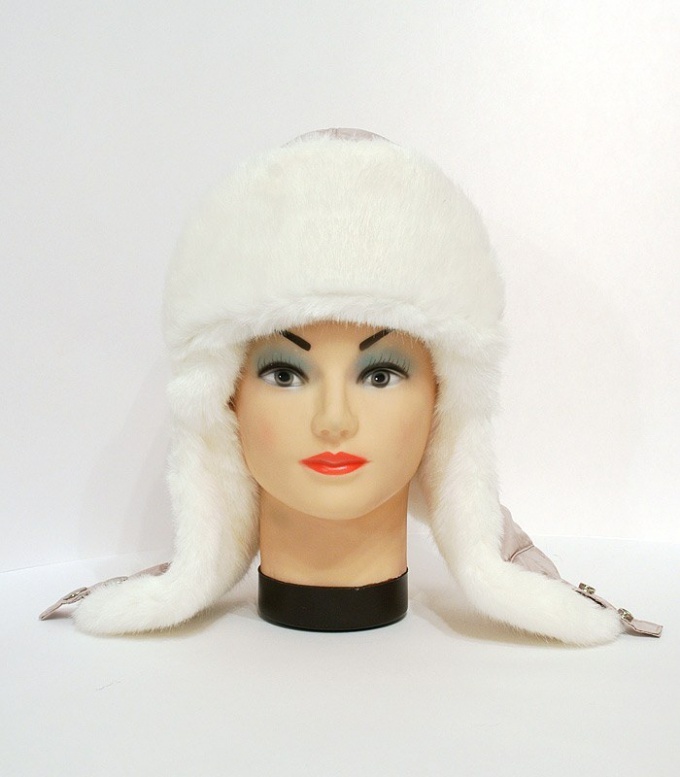 This hat will be appropriate and comfortable in the frost, because the mink fur is always relevant. If you use the old cap, strut her gently, being careful not to damage the fur. Mink fur can be deformed and parts of old caps, and new skins. To straighten it, wash the parts, and then a little pull and fasten to the Board. The same applies to mink. After such manipulation the fur will look great. Choose a style for the new caps – flip through fashion magazines or watch some specialized sites. Guided by the style, make pattern hats. The finished pattern can also be found in special journals. All items are cut using the blade. Brush the edges of the parts of the cap to cut comb out the fur. Stitch the Darts on both sides of the cap from the base of the wedges. Details of cap stack, using ordinary pins that need to work across. Note that the Ironing allowance on the seams is not necessary – flatten them, using the rings of the scissors. Folding details, please note that the direction of the NAP should ideally be the same. With a needle or pin to gently pull out the hairs of the fur from the seams. All the parts sew together. Do this carefully so that the skin was not stretched or collected. All seams to have come together in the center of the product. Hem the lining. To do this, turn the cap inside out, place the lining, ensuring that all the joints necessarily coincide. Sew the lining to the hat, using flat seam. When the cap is fully ready, DAB it inside and out with spray. Then put the product on the pad of cylindrical shape, give it a proper shape and fix with needles. Some time the header needs to dry. After complete drying, take off your hat, comb it thoroughly and enjoy the result of his skill. Often in the far cabinets there are deposits of unnecessary things. Among them you can find different straps, lining, hoods, collars. These accessories are offered to us with more weighty subjects, but individually, their wear is not possible – they are not always in harmony with the current color ensemble. Throw them a pity, so many masters come up with unique ideas for recycling these materials. For example, stirring by the old fur collar and turning it into a hat. Fur collar, lining fabric, sewing supplies, sewing machine. Strut the former product, and then determine the size of the resulting pelts. About it should be 65 cm long and 30 cm wide. Draw the pattern of the future product. Her draw in a dedicated paper, with squares 5 by 5 inches, and then cut out. Moisten the fur of the workpiece from the inside with rubbing water with a special brush. During this procedure we cannot allow the moisture was on the hair. The saturation of the material with moisture will help the product to become elastic and soft, to take any of the shape you want. Apply to the inside of fur skin drawn pattern and then cut it out with a razor. Based on the same pattern, cutting thick fabric for the lining that kept the desired shape. Details, which consist of fur skins, should sew by hand, and a fabric lining – using a sewing machine. During stitching of the fur pieces do not forget that the material must be processed from the inside with frequent stitches stykovochnye seam from left to right. Left hand, index finger slowly remove unneeded hairs in the wrong part of the product. The tool should be approximately equal to the width of the membrane, otherwise it will tear. 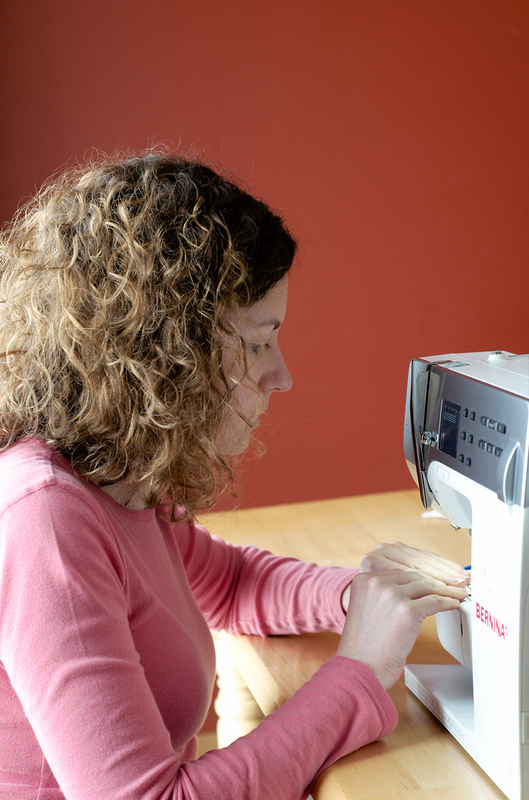 You can sew on the sewing machine using the seam-zigzag. To make careful, put two pieces of fur blanks face inward, hide hair and sew directly on the edge of the material. Gently insert the lining in the fur part of the hat, trying to combine the seams. Fold the edges of the lining half a centimeter, and carefully sew it to the fur by hand. The finished product, pull the jar or pan appropriate size of head and allow to dry in natural conditions.